Herbert Smith Freehills (HSF) has hired three partners from Pinsent Masons, including the firm’s head of mainland China Hew Kian Heong, The Lawyer can reveal. Heong is joined by projects partners Ellen Zhang and Michelle Li as the firm looks to strengthen its offering along the One Belt One Road (OBOR) initiative. HSF China managing partner Julian Copeman told The Lawyer that the hires were key for the firm’s Asia strategy. Copeman said: “We were very keen to bring these guys in, in the sense that we really see the OBOR growth in outbound infrastructure investment and its potential for the firm. The trio will split their time between HSF’s Beijing and Shanghai offices, taking the partner count in mainland China up to nine. When extended to include Hong Kong, the firm now has 27 partners in the Greater China region. According to data from The Lawyer Global 200, HSF is now the joint 12th largest practice in mainland China alongside DLA Piper and Bae Kim & Lee (BKL). The firm also now has the second-largest projects practice in China after JunHe. Pinsent Masons is now left with five partners in mainland China and the news comes shortly after it was revealed that the firm had ended its alliance with Beijing-based Hesen. The two firms began the alliance in 2011. Hesen was founded by Ye Wanhe and Elvis Zhou as a spin-off from DeHeng. Wanhe left in 2014 to form Cyan Law Firm with Licai Liu and Weitao Ren while Elvis Zhou joined JunHe in May. The departures of both partners means Hesen has now closed. A source at Pinsent Masons said that the firm the alliance ended because it was seeing a greater amount of revenue from OBOR projects. Hew Kian Heong had been the head of Pinsent Masons China practice since 2014, but the firm is yet to announce his successor. Heong took over when John Bishop stepped down three years ago. 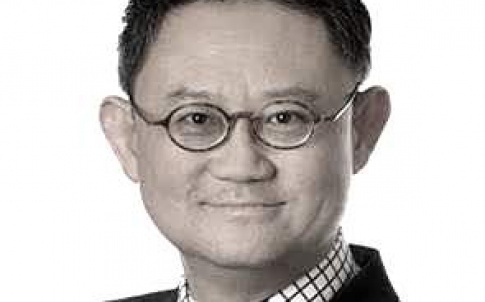 A spokesperson for Pinsent Masons said: “We can confirm that Hew Kian Heong, Ellen Zhang and Michelle Li will be leaving the firm and will take up roles with Herbert Smith Freehills after their notice periods. With these losses, Pinsent Masons drops out of the top 10 biggest international firms in mainland China. The post HSF boosts China with triple hire from Pinsents appeared first on The Lawyer | Legal News and Jobs | Advancing the business of law.